How do you solve the problem of human happiness? It's a subject that has occupied some of the greatest philosophers of all time, from Aristotle to Paul McKenna - but how do we sort the good ideas from the terrible ones? Over the past few years, Oliver Burkeman has travelled to some of the strangest outposts of the 'happiness industry' in an attempt to find out. 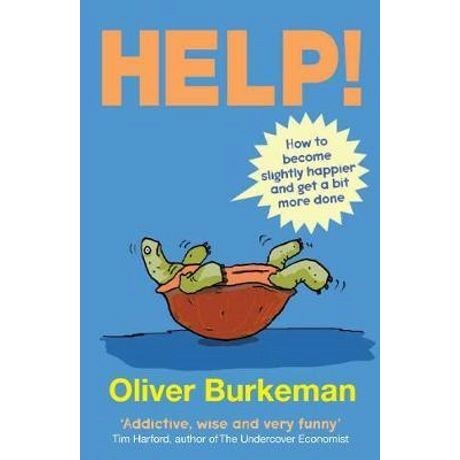 In Help!, the first collection of his popular Guardian columns, Burkeman presents his findings. It's a witty and thought-provoking exploration that punctures many of self-help's most common myths, while also offering clear-headed, practical and of ten counter-intuitive advice on a range of topics from stress, procrastination and insomnia to wealth, laughter, time management and creativity. It doesn't claim to have solved the problem of human happiness. But it might just bring us one step closer.